ALBUM REVIEW: "When Words Fail"
We hear the events on the news with such regularity that the effect can be numbing. But what if you knew the family of a child killed at the Sandy Hook School? What if the man pushed into the path of a subway train in New York last year by a woman who "thought he was a Muslim" was your friend? 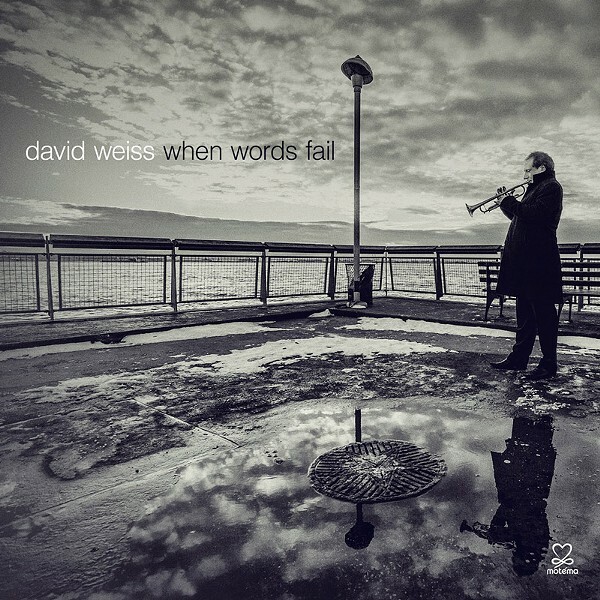 "When Words Fail" is the title of the new album by The David Weiss Sextet. A veteran trumpeter, Weiss knew the people described above and this album is the way he best could express his feelings. He quotes Hans Christian Andersen: "Where words fail, music speaks." The title tune is, in fact, dedicated to yet another special person he lost. Bassist Dwayne Burno died of pneumonia just a few weeks after playing on the album. Weiss plays a beautiful solo on the track. There are other wonderful solos by Weiss, Myron Walden on alto sax, and Marcus Strickland on tenor, but the overall tone of the album comes through most strikingly when the three are playing gorgeous harmonic phases together. The other superb players — Burno on bass; Xavier Davis, piano; E.J. Strickland, drums; and Ben Eunson, guitar — play no small part in making "When Words Fail" one of the strongest albums of the year.